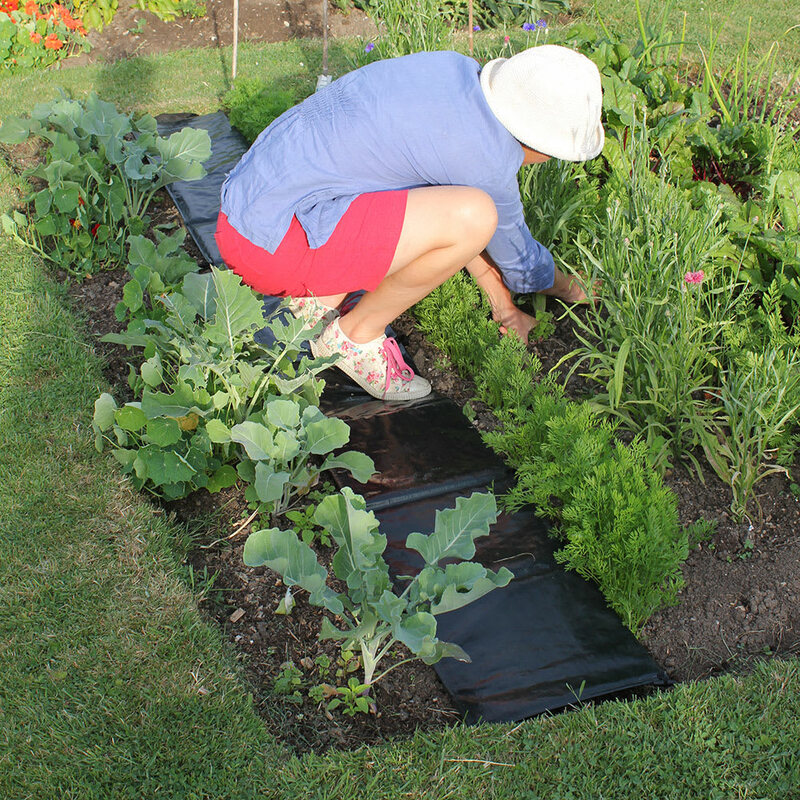 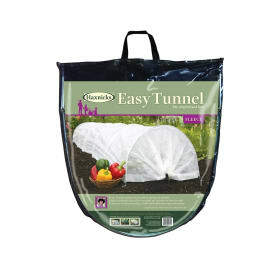 Easy Path is an instant fold-out garden pathway for placing between rows of vegetables, herbs, flowers or strawberries so that you can work between the crops without having to use planks of wood. 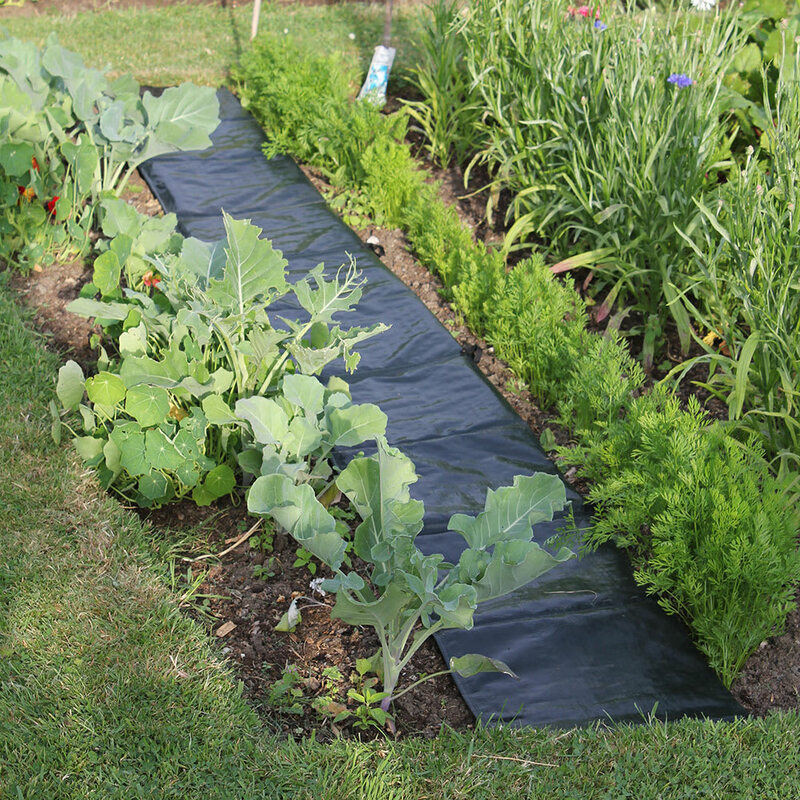 Length 3m (9ft10") Width 30cm (12"). Easy Path makes your plot easier to weed, water and harvest and because it is made of a tough outer weed barrier with a strong internal structure it suppresses weeds. 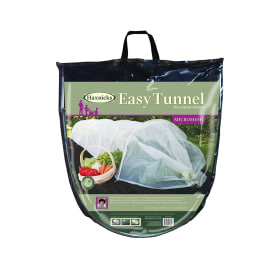 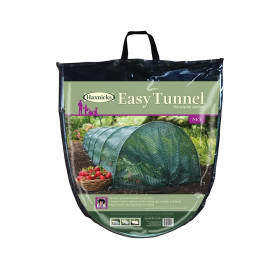 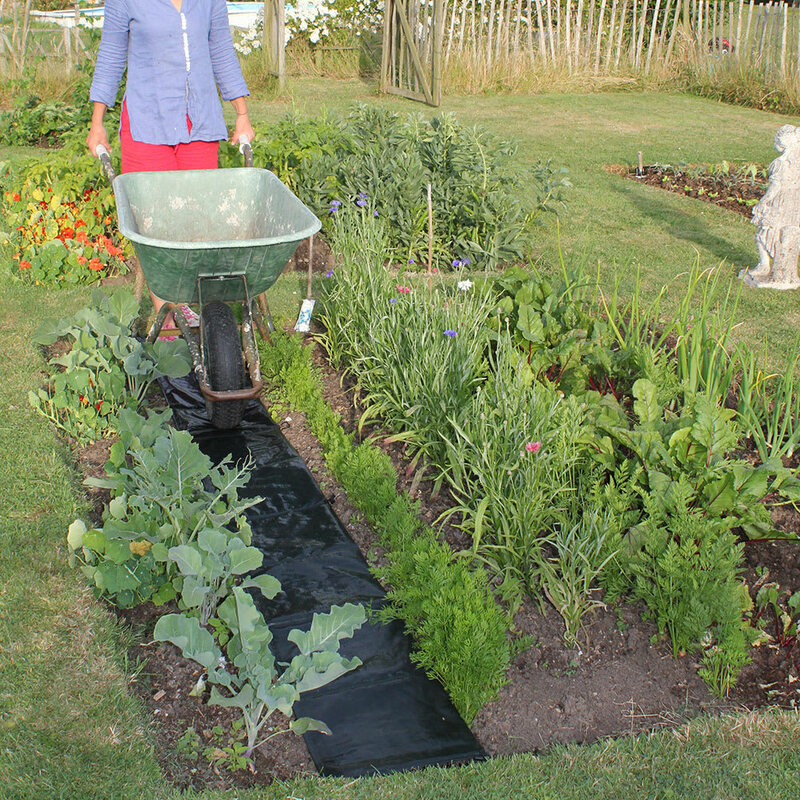 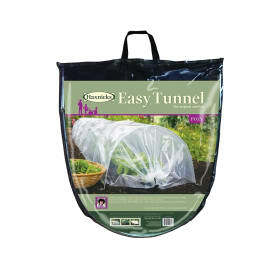 Easy Path can also be used as a temporary garden path to protect wet lawns from wellies and wheelbarrow traffic. 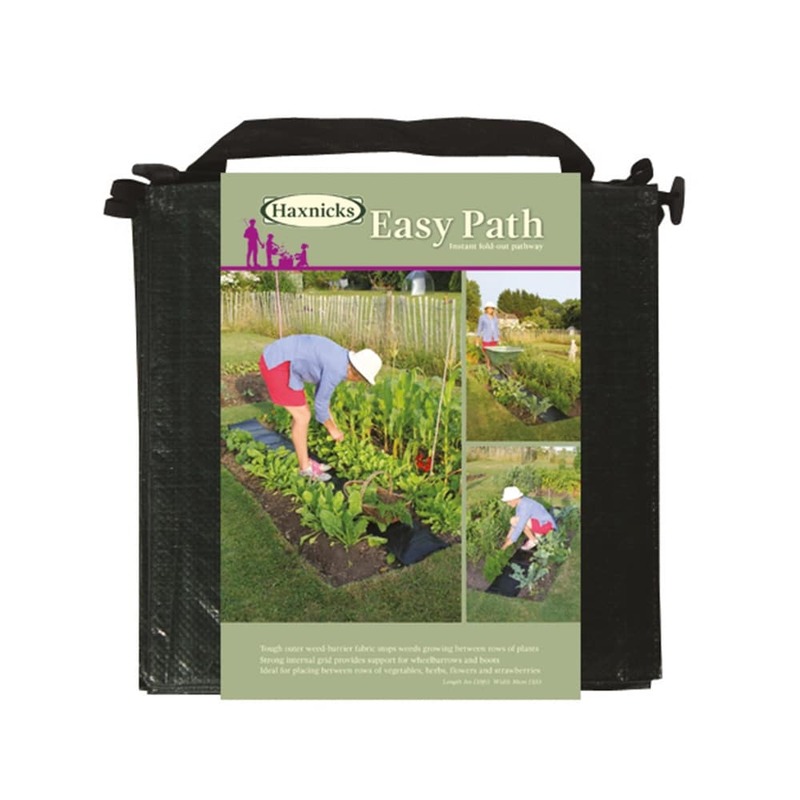 It has a carry/hanging handle and loops along the edge to peg it in place, and when it is not in use it folds up neatly into a 30cmx30cm square. 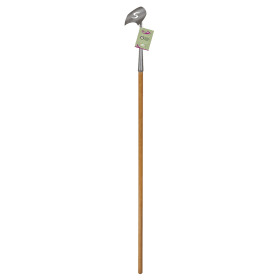 See what Grandpa Haxnicks has to say about this award-winning garden walkway !